Whiskas Crunch are chicken, duck and turkey flavoured treats which are ideal for being sprinkled on top of Whiskas wet food to provide a much more exciting meal for your cat. They contain extra minerals and vitamins to provide your cat with that boost of extra goodness. A delicious crunchy treat that your cat is sure to love. Cereals, Meat and Animal Derivatives (including 4% Chicken, 4% Turkey, 4% Duck), Oils and Fats, Minerals. 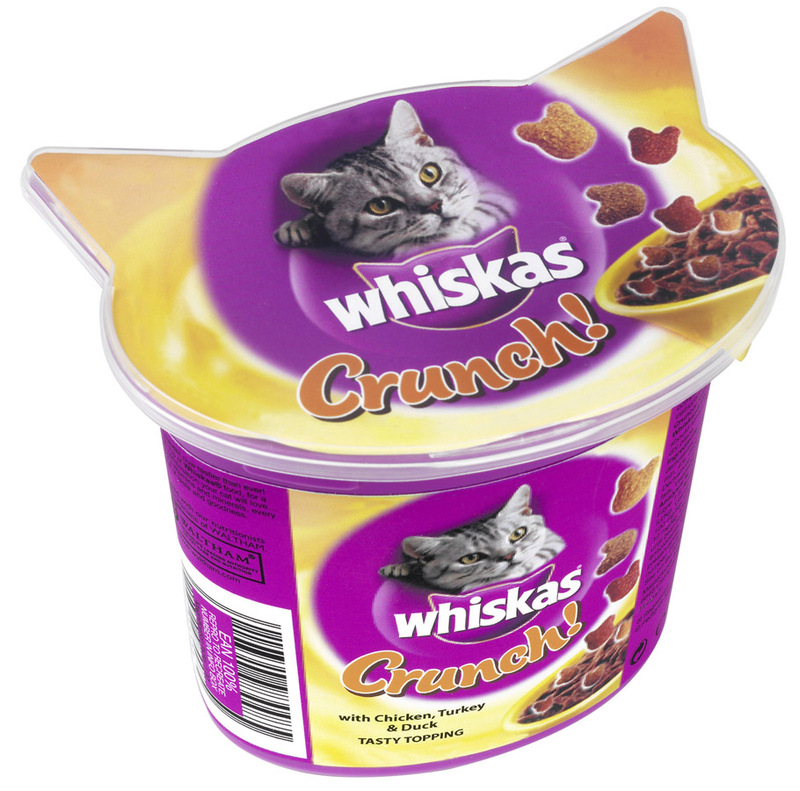 There are currently no questions for Whiskas Crunch Cat Treats - be the first to ask one!